Simon Fraser University student John Nguyen recently produced this timely documentary – Grand View – on the east Vancouver Grandview-Woodland neighbourhood planning process. The film provides a variety of perspectives on the process and opposition. The City‘s host and producer Andy Longhurst is featured in the documentary. You can find The City‘s special radio documentary on the topic here. The first half of the 21st century is anticipated to be a period of continuing large-scale urbanization in the developing world, with much of this occurring in Asian countries, especially China and India. This fundamental, on-going change in Asia presents, on the one hand, prospects for economic prosperity, new visions of an urban future and the potential for local democratization, and on the other, challenges of increasing economic and social inequities, increased resource consumption and environmental degradation. Underlying all these problems and possibilities are fundamental research challenges for scholars to consider. On February 27, 2013, urban scholar John Friedmann (UBC School of Community and Regional Planning) reflected on the broad topic of urbanization in Asia, highlighting issues of environmental degradation, socioeconomic inequality, and local democracy. The talk was hosted by the Liu Institute’s Comparative Urban Studies Network, in partnership with the Institute of Asian Research Asian Urbanisms Cluster. Dr. Sylvia Bashevkin and urban planner Prabha Khosla speak at the Women Transforming Cities National Conference convened on May 30, 2013. Dr. Bashevkin is Professor of Political Science at the University of Toronto and author of Tales of Two Cities: Women and Municipal Restructuring in London and Toronto (UBC Press). Ms. Khosla is an urban planner who works on cities, equalities, and democratic local governance. She has worked on issues of women’s rights and gender equality, social inclusion, urban sustainability, urban environments, democratizing local governance, water and sanitation, and training and capacity building for close to twenty years. Her recent publications include A Training Package: Improving Gender Equality and Grassroots Participation through Good Land Governance and Gender in Local Government: A Sourcebook for Trainers. 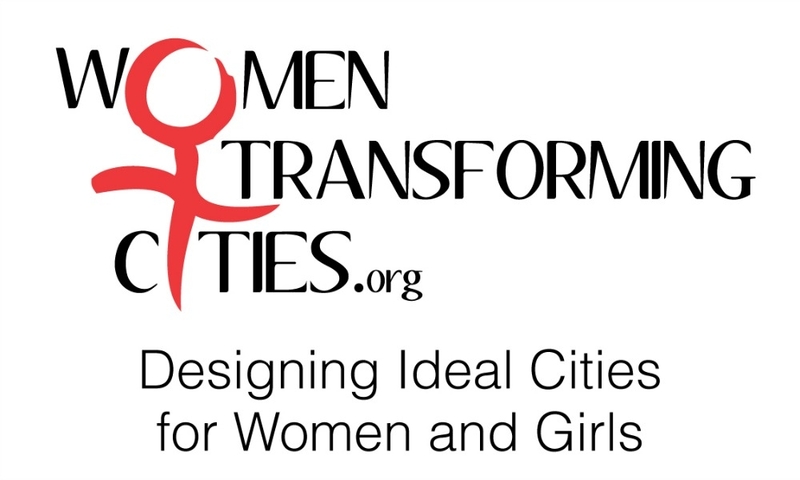 Dr. Bashevkin’s speaks to the question – How do women transform cities? – and Ms. Khosla discusses gender equality and social inclusion in municipal policies and services. My Brooklyn is a documentary about Director Kelly Anderson’s personal journey, as a Brooklyn “gentrifier,” to understand the forces reshaping her neighbourhood along lines of race and class. The story begins when Anderson moves to Brooklyn in 1988, lured by cheap rents and bohemian culture. By Michael Bloomberg’s election as mayor in 2001, a massive speculative real estate boom is rapidly altering the neighbourhoods she has come to call home. She watches as an explosion of luxury housing and chain store development spurs bitter conflict over who has a right to live in the city and to determine its future. While some people view these development patterns as ultimately revitalizing the city, to others, they are erasing the eclectic urban fabric, economic and racial diversity, creative alternative culture, and unique local economies that drew them to Brooklyn in the first place. It seems that no less than the city’s soul is at stake. Meanwhile, development officials announce a controversial plan to tear down and remake the Fulton Mall, a popular and bustling African-American and Caribbean commercial district just blocks from Anderson’s apartment. She discovers that the Mall, despite its run-down image, is the third most profitable shopping area in New York City with a rich social and cultural history. As the local debate over the Mall’s future intensifies, deep racial divides in the way people view neighbourhood change become apparent. All of this pushes Anderson to confront her own role in the process of gentrification, and to investigate the forces behind it more deeply. 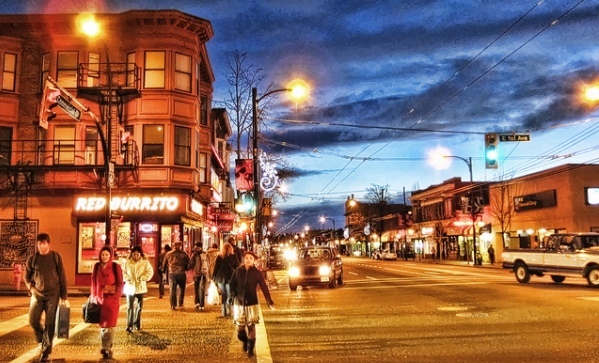 The film is an important reminder of how seemingly mundane processes of zoning and land use change can dramatically change urban landscapes, and these changes may entail the loss of vibrant, racially diverse neighbourhoods and the displacement of lower-income residents and affordable, independent businesses. While the contexts may be different, these broader processes are at work in cities across North America, and certainly in Vancouver. Commercial Drive at East 1st Avenue in the Grandview-Woodland neighbourhood. In June, City of Vancouver planning staff released the draft community plan for East Vancouver’s Grandview-Woodland neighbourhood. To the shock of many residents who were extensively involved in the consultation process, the City is proposing to upzone substantial parts of the neighbourhood including approximately ten 22-36 storey towers in the Broadway and Commercial area. These proposed changes raise important questions about the preservation of existing affordable housing stock and the implications of major condominium tower development on the social fabric of the neighbourhood. Has community trust in the planning process been eroded with these surprising land-use directions? Where did these directions originate from if not from community consultation? On this special podcast, we discuss the draft community plan, concerns about the future of the neighbourhood, and broader issues of public engagement with community leaders, residents, Translink, an urban scholar, and a member of the Mayor of Vancouver’s Engaged City Task Force. The City of Vancouver’s Corporate Communications department was given seven days advance notice for an interview. After more than four email and phone exchanges throughout the seven-day period, an interview was finally refused on June 24th. Corporate Communications indicated that a spokesperson could not be provided before the Tuesday, June 25th deadline. Feedback on the draft plan can be submitted online until July 3rd. A new workshop to discuss the Broadway/Commercial sub-area and the proposed transit-oriented development has been organized for July 6th, which you must RSVP for as “space is extremely limited.” The Grandview-Woodland Area Council is hosting an open forum for residents to express their opinions about the draft plan on Monday, July 8th from 7-9pm at 1655 William Street. The 2013 Engaging Women, Transforming Cities Conference hosted by the Women Transforming Cities organization brought together municipal electeds, urban designers and planners, and women and girls interested in transforming our cities into places where women are more involved in electoral processes, and municipal governments are responsive to the priorities of women and girls in Canada’s urban centres. The conference was held on May 30th, 2013 at Simon Fraser University’s downtown campus. Over the course of the summer, The City will be providing highlights from this inaugural national conference. 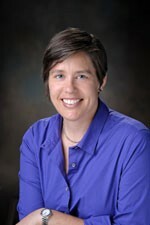 Dr. Tiffany Muller Myrdahl is the Junior Ruth Wynn Woodward Chair in Gender and Urban Studies at Simon Fraser University, and in this podcast she discusses large and small interventions to foster feminist urban futures. Subscribe via iTunes to have the weekly podcast downloaded automatically.